Rope Access Services are not only window cleaning and painting! 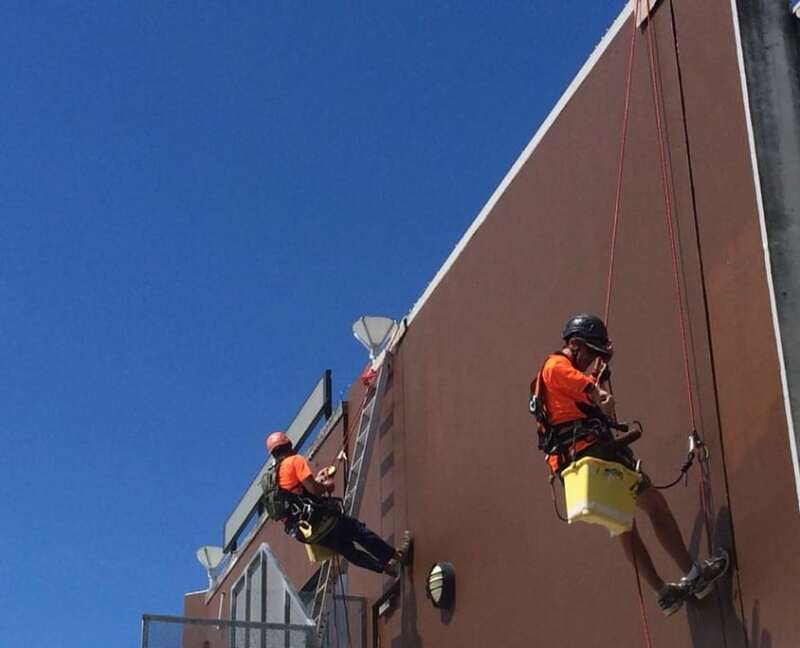 Alltech Abseilers offer unrivaled maintenance service for commercial customers throughout Queensland. More and more industries are discovering just how advanced and effective our industrial rope access methods have become. Hire Rope Access Contractors today – call or email our team today! Professional Rope Access Trade Services. 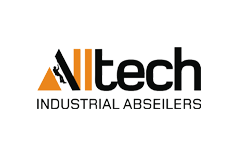 Professional Rope Access Trade Services brought to you by Alltech Abseilers. We provide top class rope access services for Window Cleaning, Commercial Painting, Height Safety Inspections, Shutdowns and much more. Simply get in touch with our team to discuss your high rope access project, so we are able to provide you with an affordable solution. Rope access is the best way to paint high access areas. 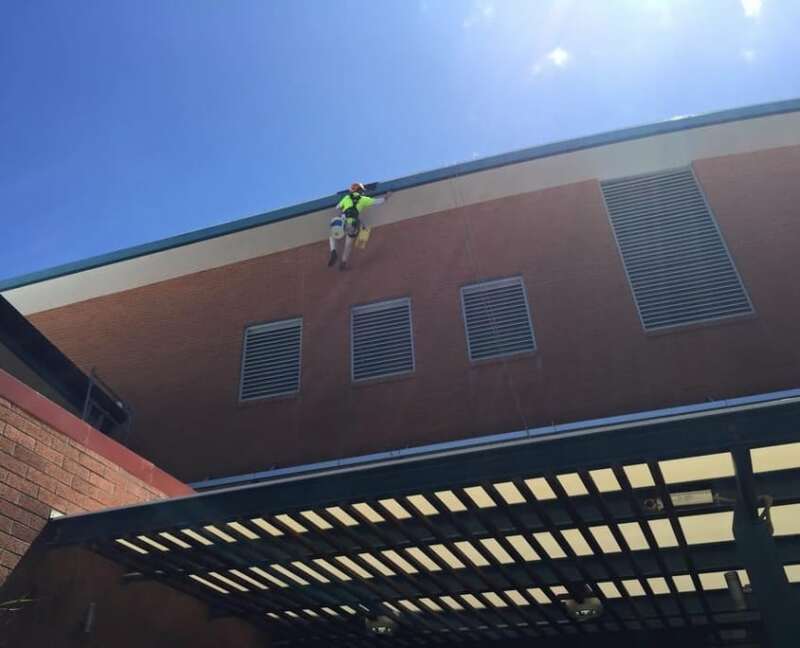 Get your building repainted by our highly skilled team of abseilers — Licensed Painting Contractors trained to carry out high access Painting using rope access techniques. Shutdowns using Industrial Rope Access Trade professionals. Alltech Abseilers are fast, efficient and offer the safest and most economical means of access to elevated or confined space areas. Using Ropes makes it everything affordable. Roof Restorations with highly skilled rope access technicians will restore, repair even the steepest roofs without a fuss. We can pressure clean or repaint your roof safely. Professional High Rise Window Cleaning. 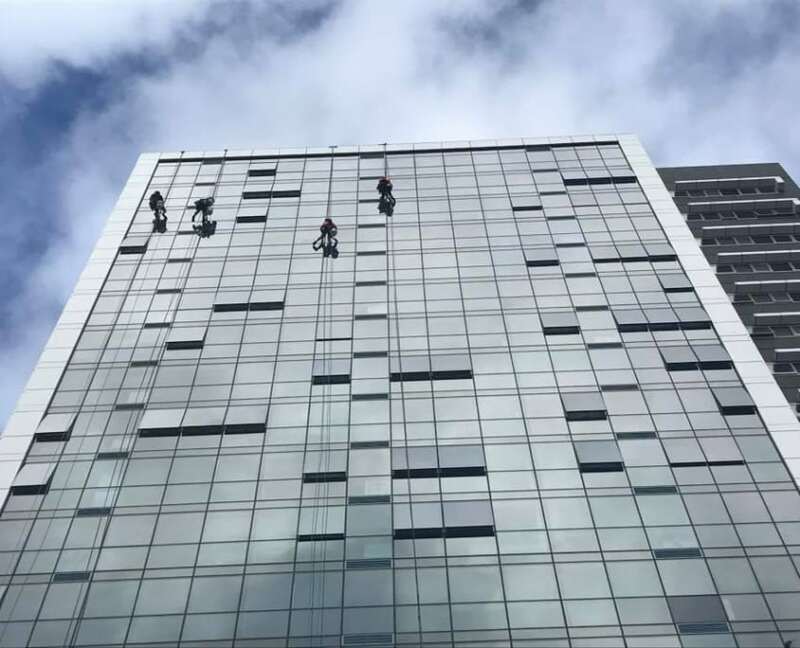 Commercial Window Cleaning at extreme heights is affordable with our team of professional rope access window cleaners. Alltech Abseilers achieve perfect results every time because we can. A very serious game, safety is paramount. 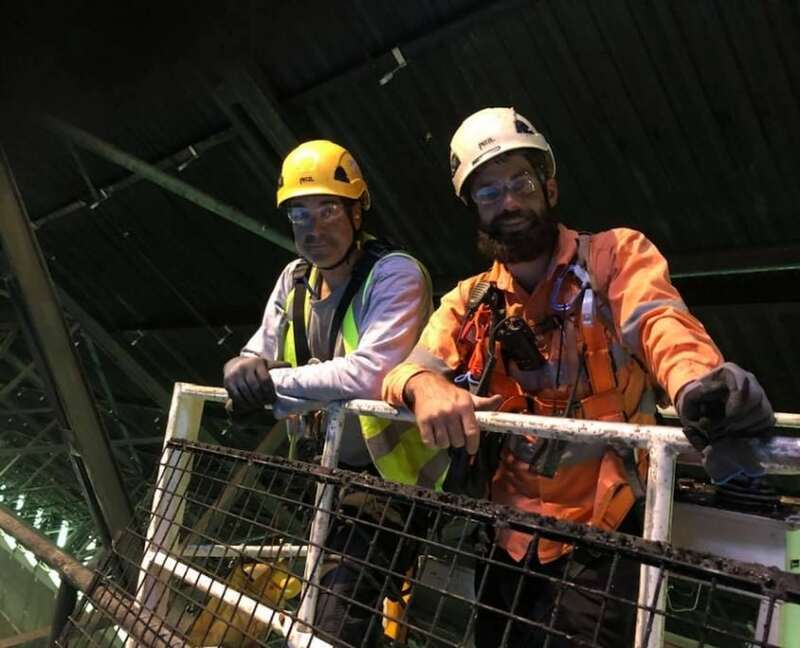 Height Safety Inspections by Industrial Abseilers with exceptional knowledge in regards to working at dangerous heights. Alltech Abseilers are equipped to test all rope access anchor points, static lines, height safety systems and fall arrest equipment. We install secure and easy to use height safety systems. Height Safety Installations whether installed into concrete, steel purlins or mounted to any surface structure. Alltech Abseiler ensures their Height Safety Systems, are set to the highest safety standards possible. 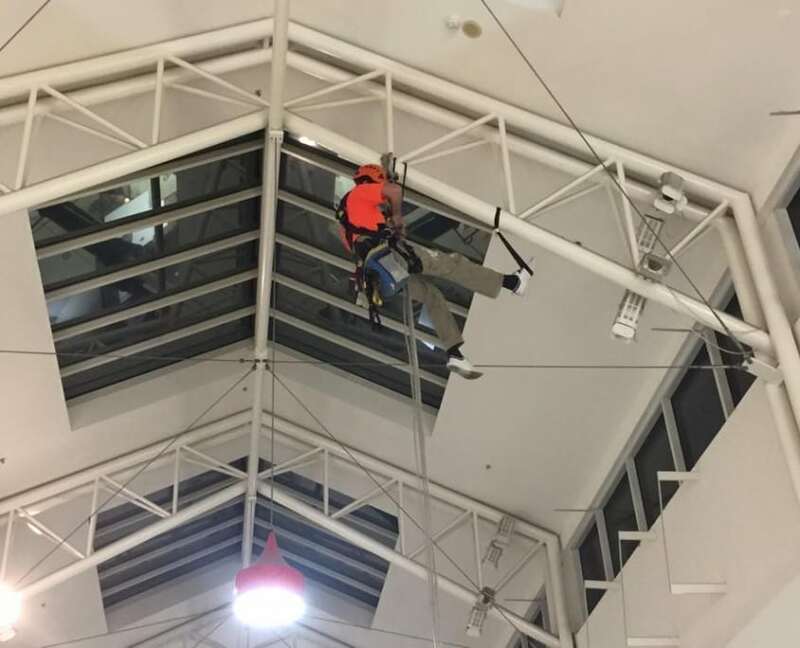 When you hire one of the big name painting companies, they often sub-contract the work out to specialised rope access companies such as Alltech, costing you thousands more than dealing with us directly! Rope Access Technicians for Hi Rise and Rope Access projects. Hire Trade Services Rope Access Technicians to help get the tough jobs done right the first time. 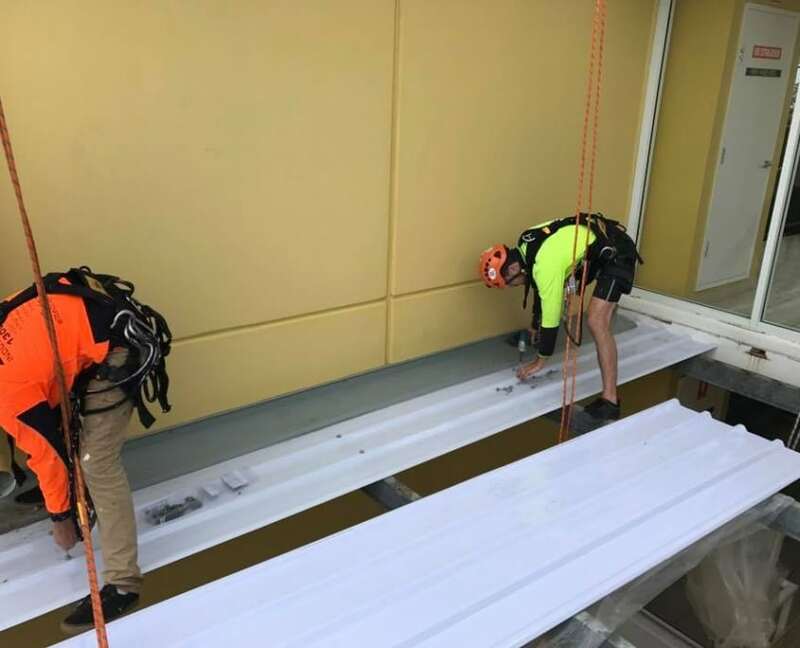 Hire Rope Access Technicians for Hi Rise and Rope Access projects in Brisbane, Gold Coast, Sunshine Coast, Sydney, Melbourne & Cairns. Professional rope access trades & height safety specialists Australia wide.